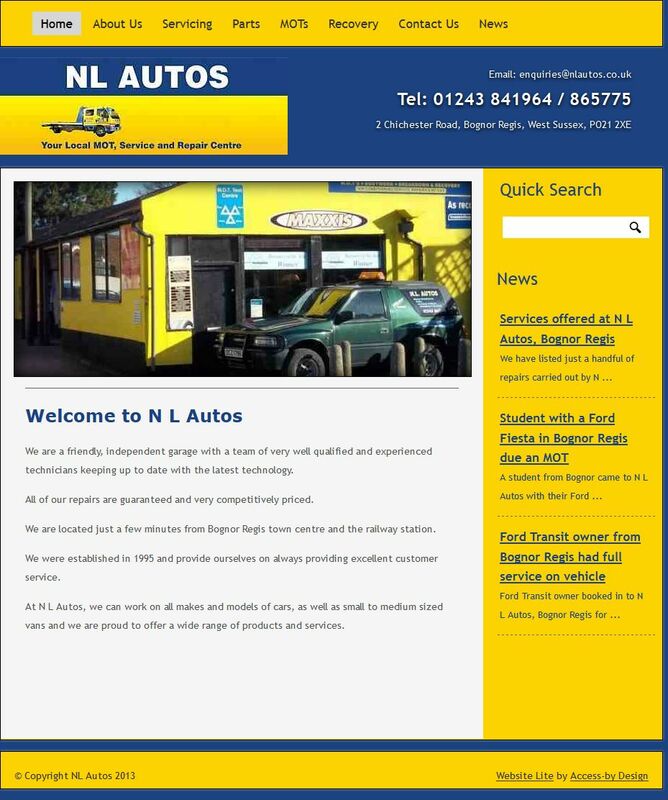 NL Autos are a car service and repair company in Bognor Regis. They can service and repair all makes and models of cars in the Bognor Regis area and beyond. They pride themselves in providing expert knowledge and top notch customer service. Their previous website was simple but not one they were able to control the content of. Website Lite was ideal for them, once they had chosen a theme that worked with their preferred colours, they able to quickly put the content together. They really like the way they can add new pages and change the content if necessary but the best thing is their ability to add an unlimited number of news items. In their case, they were able to write about some of the more interesting and involved jobs they have been working on. This flow of new content, which is very easy to add, is very good for keeping Google satisfied.